Mary Dreibelbis, 74, of La Porte, passed away on Sunday, January 27, 2019 at her home surrounded by her loving family including 4 grandchildren who lived with her, Logan Dreibelbis, Brihanna Wilkins, Grace Dreibelbis, and Ronald Dreibelbis, Jr.
Mary was born in La Porte, IN, on April 30, 1944 to Jesse and Elinor (Murphy) Wisler. On October 3, 1970, she married Norman Dreibelbis who preceded her in death. Surviving are his beloved children, Ronald (Jennifer) Dreibelbis of La Porte, IN, Keith (Stacy Measles) Dreibelbis of La Porte, IN, Charles (Vicky) Dreibelbis of Rochester, IN, Joe (Dolly) Dreibelbis and Brian (Judi) Dreibelbis, both of Bourbon, IN, Debi (David Woods) Howard of Argos, IN, and Rebecca (Kent) Thornburg of CO; sister, Jerry (Dee) Holt of La Porte; as well as numerous grandchildren, great-grandchildren, nieces, and nephews. 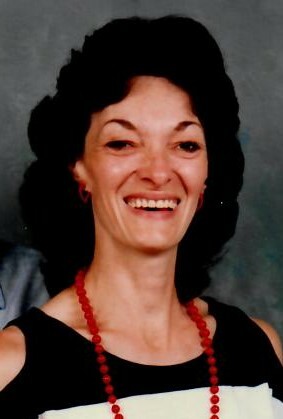 She was preceded in death by her parents, Jesse and Elinor; husband Norman "Stormin Normin" Dreibelbis; son, Gregory Dreibelbis; brother, Larry Wisler; and sister, Merrie Gurrola. Mary worked at Kroger in the meat department for 34 years. She enjoyed gardening, sewing, and taking care of her coy pond. A Celebration of Life Memorial Service will be held at 2 PM on Sunday, February 3, 2019 at Cutler Funeral Home and Cremation Center with Pastor Roger Ash officiating. A time of visitation will be held from 12 PM until the time of the service on Sunday at the funeral home. Memorial contributions may be directed to the family c/o Ron Dreibelbis, 2900 Monroe St., La Porte, IN 46350.